Greetings to all the readers of this, my blog. As I write tis now, I would say that I currently look like a half-drowned zombie with wet hair and mascara smudges under my eyes. I am about to make my first (and quite probably only) analysis of one of the 2012 Pre-Fall Collections. Having looked through them not so avidly, I have decided that the collection I have decided to do a brief summary of is the Preen one... though you might have guessed that by the title. Oh, and I am also going to include one random, completely unrelated Music Video from a singer I have only just discovered called Kimbra. Now, I am not claiming that my knowledge of the world of modern pop music is in any way exemplary (or that this song is a work of musical genius) but I had never heard of this singer before and thought her music rather good, especially in comparison to other rubbish in the charts currently. Therefore, I have decided to share! 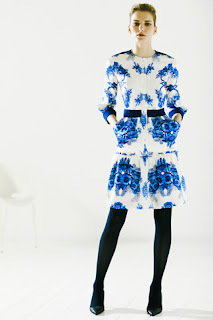 So, what can I state about the Preen 2012 Pre-Fall Collection? Well, out of the twenty-nine different outfits, I have chosen thirteen of them - my favourites, but naturally taken from the collection on fair ratio to fully exhibit the different styles. So what could be expected from this collection? I naturally liked it to some extent, otherwise I would not have posted this, and it is constantly growing on me. There are almost two different aspects to the collection. Firstly, the geometric shapes and colour blocking, orange and black, in the first half of the collection... flowing rapidly into the other aspect. 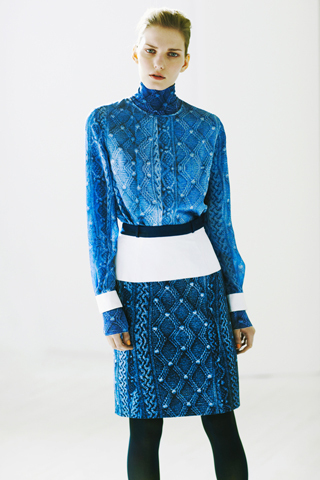 Thea Bragazzi, the designer, states that she visited her family in the Isle of Mann and was inspired by her grandmother's china. Indeed, to quote, "She has all these blue-and-white teacups, stacked up, which look incredible!" The Impressive result of this is the beautiful china-patterned prints on silk dresses and blouses, with an almost blown-up Wedgewood pattern, not to mention 'denim' printed silk. Brief Information about Kimbra: She is twenty-one year old singer/songwriter from Hamilton in New Zealand but currently based in Melbourne, Australia. Her debut album, Vows, was released on 29 August 2011 in New Zealand, and 2 September 2011 in Australia on Warner Bros Records Inc. Her genres are described as soul, alternative and jazz. I hope you enjoy. I hope you have enjoyed reading my hastily scrambled together Post, and if you did not actually read it thorougly, you might have appreciated the photos included or the Kimbra video. Remember to comment (Sincerely. Do. Comment.) and, if you like this, then feel free to follow. It's a very nice collection, very stylish. I really love it. The model is perfect too. Hey! I'm from Australia (living in Britain) and when I told my friends they really liked Kimbra, but this is sort of one of her lighter videos. Almost all the others are more alternative and even creepy. Anyway, I also love this Preen collection. It's awesome! The colours are great! I am actually really loving the china-inspired prints on some of these dresses! They're quirky and totally unique. Thanks for sharing and of course, I enjoyed reading as well! I disagree with you completely! The model may be on the thin side, but she is not disgusting.... and the clothes are absolutely gorgeous!!!!! You obviously have no taste. Fantastic Blog! I am so happy to have come across something so good!!!! Hey, china! I once had a teeshirt with an ugly mug on it. Mine. This is nice.I really love everything about this post. I liked the blue dresses. Collection looks great, I love it! in btw. 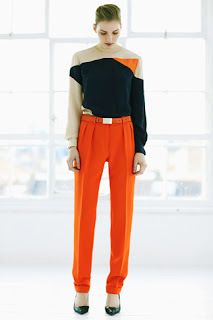 i love the collection especially the colour blocking elements are adorable! 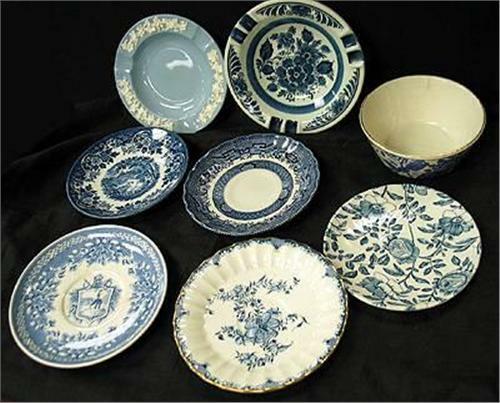 It really looks as if the collection has been inspired by those dishes! Still too futuristic and blue for me.